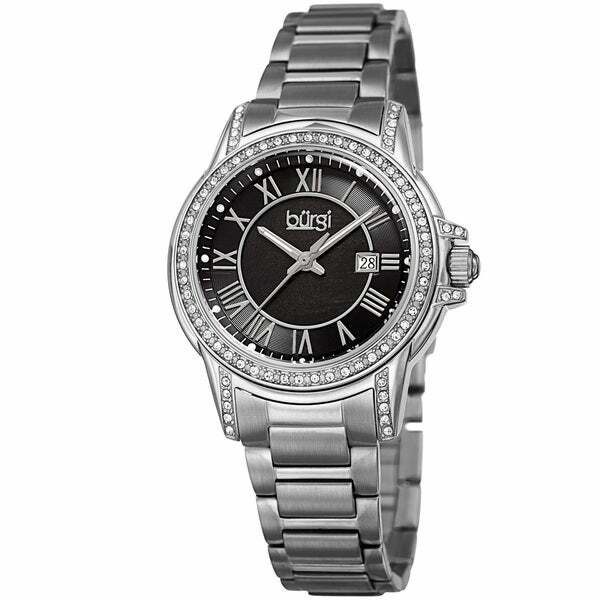 Beautiful and undeniably stylish, this Burgi timepiece features sparkling crystals studded into the bezel and lugs. The outer dial is decorated with a record finish and topped with hand-applied markers. It is completed with a stainless steel bracelet.